Posted March 9, 2014 by Paraic Horkan in Features. 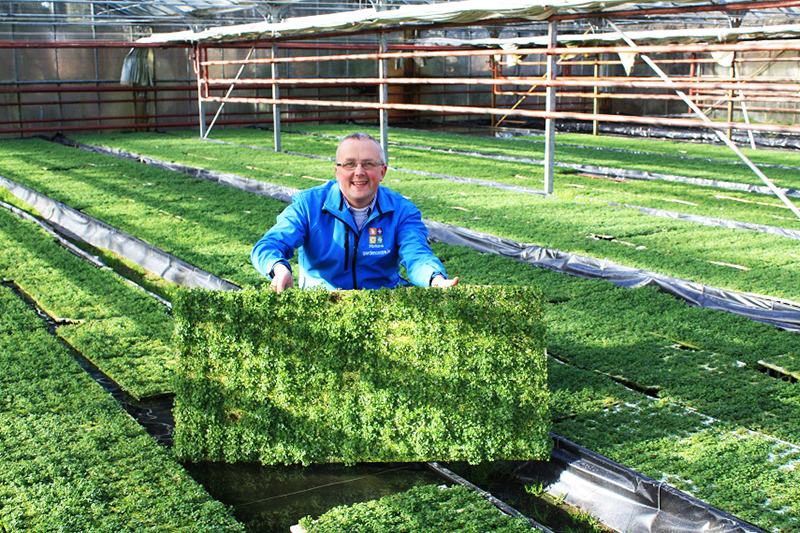 Horkan’s Irish Shamrock is from the true Irish shamrock species, Trifolium Dubium, and has been carefully grown here in the West of Ireland using our native shamrock seed to produce a quality Irish shamrock plant which can be worn proudly on St Patrick’s Day and planted in your garden to grow on for next year. 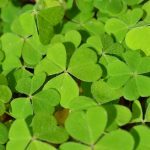 The name shamrock is derived from Irish seamróg, which is the diminutive version of the Irish word for clover (seamair) meaning simply little clover or young clover. Horkan’s Irish Shamrock is a perennial plant which means it will grow in your garden in a pot or out in your garden soil for many years. 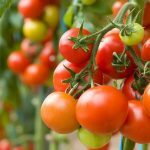 True Irish shamrock is easy to grow but does require regular watering during the growing months and especially in warm weather. 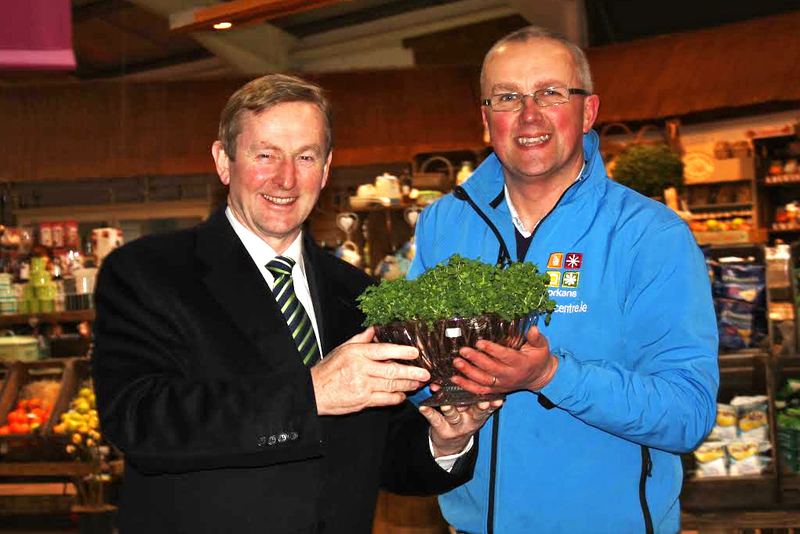 Paraic Horkan from Horkan’s Garden & Lifestyle Centres (located in Westport, Castlebar, Galway, Sligo, Cornelscourt and Wicklow) presented a bowl of Irish shamrock taken from this year’s crop to An Taoiseach Enda Kenny, who travels this week to present our national symbol—the bowl of fresh, West of Ireland shamrock—to the American President Barack Obama on Friday. 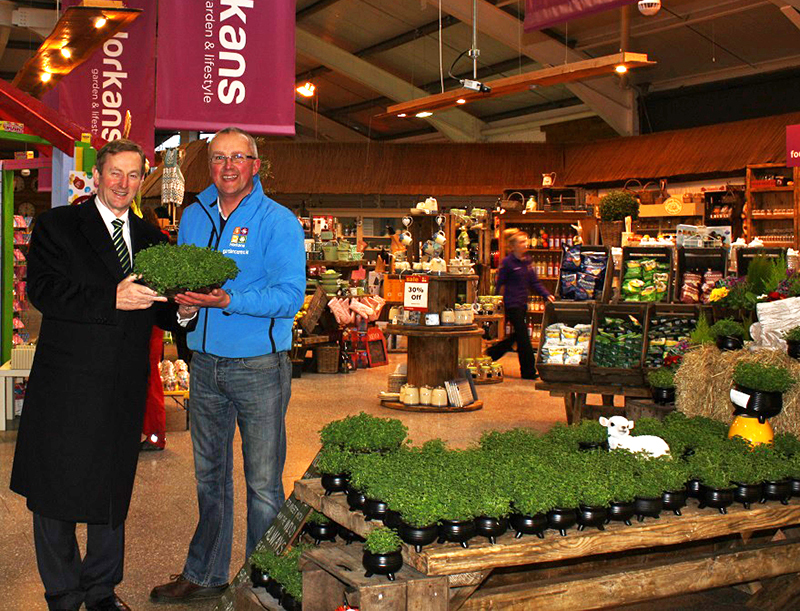 Horkan’s Shamrock can be worn proudly on St Patrick’s Day and then planted into a pot or into your garden to grow on for next year. Irish people all over the World just love our product. Simply pot me up, add water and trim occasionally.